Lassen Sie nicht von Jennas Schönheit verzaubern. Wie der Wind, ist sie eine Böe schreckliche Zerstörung. a way of making her weapon out of EVA sheets and a pipe. 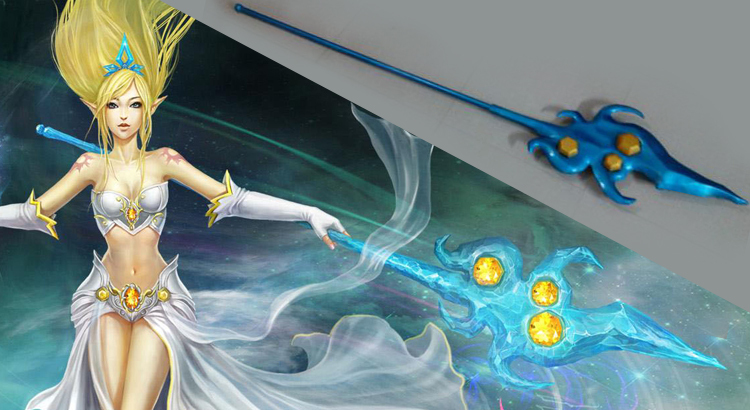 Materials: pencil, paper, knife, EVA sheet, pipe, light blue glitter paint, white latex or poly-putty base. 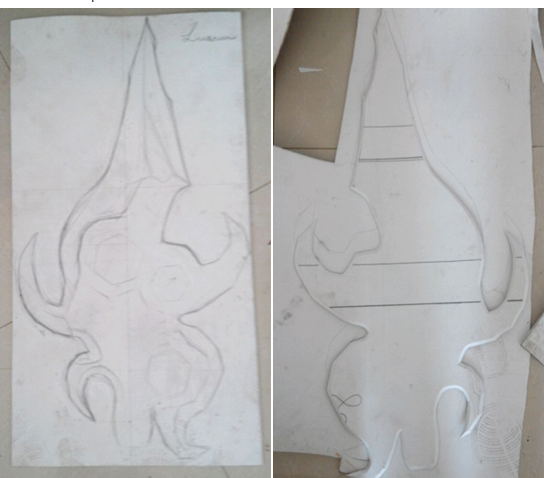 First step, draw the weapon shape on a piece of paper, be sure it’s life sized. Cut it off and we got a paper pattern. Then trace it onto the EVA sheet and cut along the line.